News from Zimbabwe is dominated by crisis: economic, political, social, environmental and more. But what lies beyond? It is good news that people are thinking about this. A blog/website has been launched, centred on the book edited by Tendai Murisa and Tendai Chikweche, called ‘Beyond the crises: Zimbabwe’s prospect for transformation’. A blog that appeared a few weeks back offered a useful analysis of the current predicament, arguing following Brian Raftopolous, for the need to go beyond the polarised divide between a politics of redistribution and a politics of rights; and that in fact both are needed. Tendai Murisa, currently executive director of Trust Africa, formerly a PhD student at Rhodes, and a researcher at the African Institute of Agrarian Studies, working with the late Sam Moyo, is one of the key drivers. The book and the various blogs are important reading for anyone concerned with the future of Zimbabwe. The book contains chapters on changing policy regimes (Murisa and Nyaguse), microfinance, business and small-scale enterprises (Chikweche and others), agrarian issues (Murisa and Mujyei), including gender dynamics, accumulation and land reform (Mutopo); and biodiversity, climate and environmental change (Ndebele-Murisa, Mubaya, Mutasa). All are worth a read. I however want to concentrate on the beginning and end of the book, and the discussion of the need for a transformation in Zimbabwe. They even offer a manifesto. What is refreshing about this discussion is that it is non-partisan and barely mentions the internecine wars of party politics. It discusses politics in its broader sense, as the modes of governance required for a successful, prosperous, inclusive society. That Zimbabwe is far from this ideal is very plain, and is discussed across the book. Murisa in particular makes the case that a new politics needs to be built from the ground up, generated from the energies, innovations and solidarities of local communities. Only then will the corrupt, patronage-based politics of the centre – emanating from all sides – be challenged. This argument picks up from Murisa’s own research that documented the emergence of forms of associational life on new resettlements following land reform. It is an important piece of work that points to the importance of mutualism, social connection and relationship building for any new activity – in this case new forms of production on the land. Extending this argument to wider society, the book makes the case that this has been lost, captured by a venal politics of greed and corruption, and that any transformation must instead emerge from a base, one rooted in solidarity, trust, and mutual cooperation, developing a civic pact that goes beyond shallow, performative participation. Now of course in the face of the power of the party-business-security state, this may seem somewhat hopeful. But in order to get away from the obsession about leadership succession, pacts and alliances across parties, and how to make an electoral system less open to manipulation, a wider look at politics in its broader sense is important. In his commentary at the launch of the book, Lloyd Sachikonye made some important points of gentle critique, however. There are dangers in imagining an ideal ‘community’ led response without thinking about class, identity, and power – and the array of differences that divide as well as bring together. He asked: What constellation of classes, groups and alliances should form its vanguard and base?” Murisa and colleagues, coming from a different generation of scholars less influenced by Marx perhaps, do not throw much light on the intersections of class, capital and the state in their analysis. This is a gap. But it is not incompatible with arguing for a new form of politics in my view. As Nancy Fraser has long argued, an emancipatory politics that takes democracy seriously must address redistribution (and questions of equity and class difference), recognition (and issues of identity politics) and representation (but not just through occasional elections) together, rethinking the ‘public sphere’, and creating a ‘triple movement’ for an emancipatory politics. A revitalised politics in the face of globalised neoliberal capitalism and nationalist, populist politics (and Zimbabwe has its own particular version, but with striking echoes of what has emerged elsewhere), building new forms of political practice is essential. Whether this is the much-hyped hashtag activism of recent times or a more grounded building of new forms of action in particular places – or ideally interactions of the two through new forms of mobilisation – such moves must focus not just on unsettling existing forms of incumbent power, but also creating alternatives that, following Polanyi, re-embed market relations, socialising production in new ways. At the same time, a new politics must allow for the recognition of diverse identities, including men, women, different ethnicities, creating a new voice for rural people, many of whom benefited from land reform. How this builds to new forms of representation is the big question, with political parties being so bereft of policy ideas and presenting a narrow, blinkered democratic imagination. As Sachikonye argues, this does not mean rejecting electoral democracy but reshaping it with a more vibrant engagement. Having an intellectual debate about these issues in a non-partisan forum, based on scholarship from Zimbabwe, is really refreshing, and timely. Only with such input will Zimbabwe ever find a space beyond the seemingly endless crises. 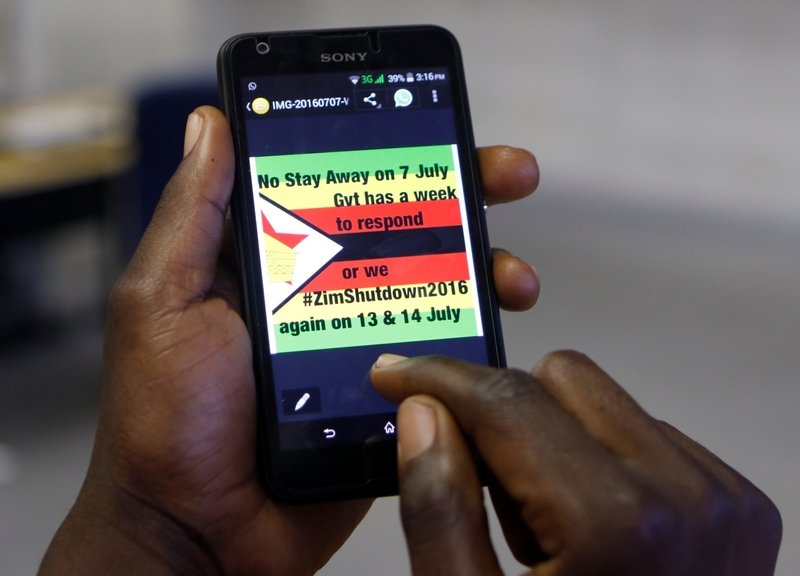 #Hashtag activism: will it make a difference in Zimbabwe? Over the last few months a new type of politics has been brewing in Zimbabwe. Fed up with the mainstream parties, people have been taking to social media to express their demands. The most prominent has been the #ThisFlag movement, adopting the national flag as the symbol to rally around. Led by a pastor – Evan Mawarire – it has generated massive interest, both in Zimbabwe and in the diaspora, and resulted in a successful stay-away in early July. Other movements, linked by social media, include: Occupy Africa Unity Square and Tajamuka/Sesjikile, as well as numerous bloggers, Twitter commentators, Youtube channels and Facebook accounts. Will this make a difference? Some say this is the start of a ‘Zimbabwean spring’, echoing the movements that toppled governments in the Arab world a few years ago. But we need to be cautious about such parallels. There have been some excellent, reflective commentaries on this emerging phenomenon from Alex Magaisa, Miles Tendi and Brian Raftopolous in recent weeks. Let me highlight some key points made. On Twitter, the core demands are stated, thus: “#ThisFlag will continue to be a civil rights movement driven by its citizens against: Poverty, Injustice, Corruption”. Most would sign up to this. But how does it translate into a political project, beyond the demands? This requires reaching out to wider constituencies. 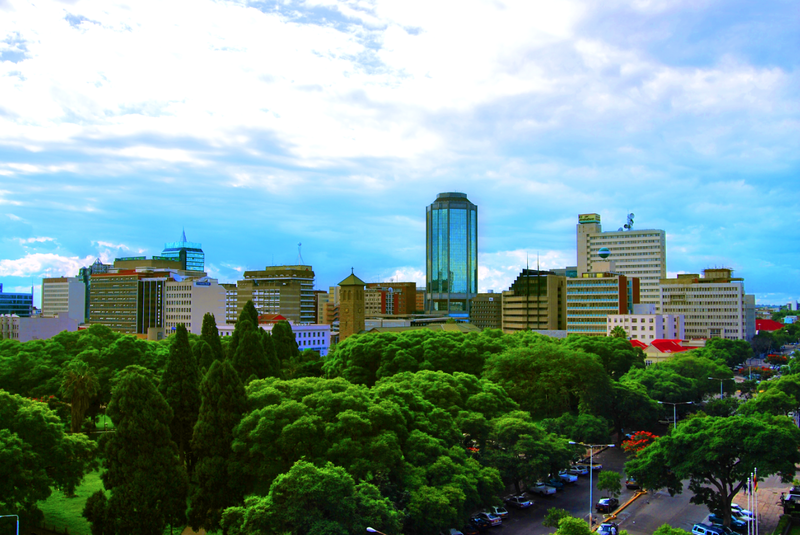 Only 34 percent of Zimbabwe’s population is classified as urban by the World Bank. This is far less than say Tunisia where the Arab spring started, where 68 percent is urban. This makes a big difference, as Twitter, Facebook and other social media are not active in many rural areas. People are of course engaging through multiple routes, and Whatsapp connections reach further. But most activists live in the major towns and are young, and hashtag activism doesn’t reach older generations, or people in rural areas where the majority live. Rural people certainly have grievances against the government, but they are different. Many got land during the land reform, but they want state support to help make their farms productive and their rural economies grow. These are different demands, and different people; coalitions across the whole electorate will be vital in any future election. ZANU-PF, by both fair and foul means, have been past masters at assuring a vote. To my mind this is the crucial issue, meaning this will remain a protest movement, but not one that brings change, unless wider alliances are built and a rural agenda is forged – something that opposition groupings coming from trade union backgrounds have singularly failed to do in the past. A failure to engage with rural politics by the urban and diaspora commentariat along with activist organisers is a big mistake. Raftopolous comments on the new type of politics: “This movement is different to earlier forms of civic activism in a number of ways. First, it does not appear to be driven by any particular political party. Second, since the demise of the structures of the labour movement in the first decade of the 2000s, the forms of organisation in the informal sector have become much more fluid. The result is that this form of activism is more difficult for the state to track, but it also makes such interventions more fragile and more difficult to sustain. Third, the modality of protest appears to have drawn from forms used in South African protest movements. These include the burning of buildings, such as the torching of the Zimbabwe Revenue Service building at the Beitbridge border between South Africa and Zimbabwe, and the burning of tyres in the streets”. Raftopolous argues that we may be witnessing “a change in the idea of citizenship” in Zimbabwe, as new people engage in politics. 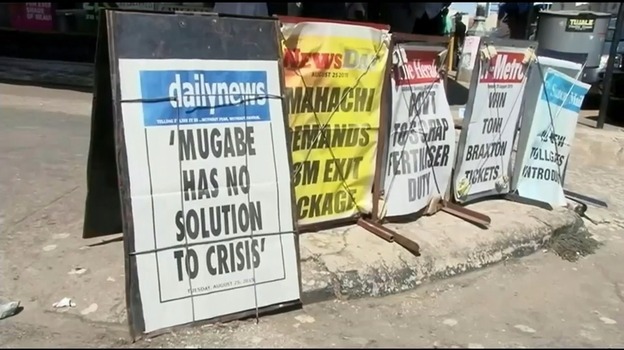 But Tendi argues, “These predictions of Mugabe’s imminent downfall are wrong….. social media activism can never substitute for organized political activity on the ground”. He continues: “it is not enough for Zimbabwe’s urban youth to simply oppose the status quo through social media. Let’s say that a successful youth uprising were to remove Mugabe from power tomorrow: Who would take over in his wake? What sort of political and economic agenda would this new leader have? Most of Zimbabwe’s social media activists have yet to give lucid answers to these important questions, while the few who do are plagued by a lack of consensus about who would lead a post-Mugabe Zimbabwe and what that leadership’s agenda should be….If social media activists want to make a successful contribution to political change in Zimbabwe, they need to work in sync with traditional civil society groups and, crucially, effective opposition political parties”. The problem, as Alex Magaisa, comments is that opposition parties are not effective, and civic movements are poorly funded and have over the years fallen into “the rigid confines of donor-demarcated programmes”. Alex Magaisa’s always-informative Big Saturday Read this week has dissected the recent announcements of the MDC-T president, Morgan Tsvangarai, with two additional vice-presidents appointed in the party. This was spun as preparing for the next election, but does it represent an attempt to control an unseemly succession struggle, or a clever route to cooption of different factions? Tsvangirai has revealed that he has colon cancer, so the party requires a new strategy. A recent statement tried to link itself to the #ThisFlag movement, but the connections through to local party structures are not clear. The wider movement has a broad political base, rooted in disaffection with the status quo, rather than any particular party loyalty, so it may be difficult to connect new citizen activism to opposition politics and votes. ZANU-PF has always been effective at suppressing dissent, both within the party and within the country. It has used violent means in the past, and will do so again. And of course there’s tweeter-in-chief, Prof. Jonathan Moyo MP, Minister of Higher and Tertiary Education, Science and Technology Development, with an impressive 78k followers. Cyber security has risen up the agenda, and there will be attempts to monitor and restrict social media for sure. The Central Intelligence Organisation has had much advice from Israel and others, and blocking online activism is certainly possible. As Magaisa argues: “We are likely to see more arrests of activists in the citizens’ movement. Ordinary members of the public will also be arrested and prosecuted as examples to others. There will also be new laws to criminalise conduct on social media and other similar spaces. There will be further statements and warnings from the coercive elements of the state, all designed to deter and scare people from using social media to challenge government. In this regard, the citizens’ movement will find that its struggle is really not very different from the struggle which the traditional opposition parties and organized civil society have faced in the past. The question is whether this new citizens’ movement has devised new tools to overcome or get around these impediments”. Key to the unfolding story, as Tendi explains, will be the role of the military. Also divided but held in check by webs of patronage and control, if any group breaks loose, then the dynamic changes immediately. Not paying the army on time is clearly unwise. But as Tendi says the hashtag activists have no route into these military-security networks, and have paid such issues little thought, a “fateful omission”, he argues. He explains, “Mugabe maintains his hold on power largely because of the army’s internal divisions, particularly among the senior officers….. He has also used the intelligence services to sow divisions and maintain surveillance among the generals. Unless Mugabe’s opponents can develop a strategy to bring a decisive majority of senior military officers over to their side, even the most effective social media campaign will be for naught”. Tendi concludes his Foreign Affairs piece, looking forward: “Young people, urban and rural, do not seem to be discussing among themselves whom they should support in the 2018 election, or what sort of political and economic agenda they want to see for their country. What Zimbabwe needs now, most of all, is a well-thought-out and pragmatic approach to the 2018 election — one that will unite civil society, the opposition parties, online activists, and urban and rural youth. That is the key to finding a new path ahead”. 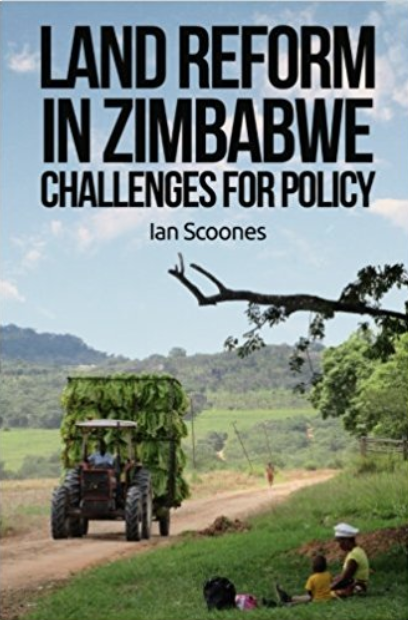 There have been two excellent commentaries on Zimbabwe’s political situation recently by Brian Raftopolous and Joost Fontein. Both point to a ‘politics of despair’, a sense of despondency that no alternative is possible at least in the short-term. They make rather depressing reading. I agree with their analysis in broad terms, although as I point out below, they miss out another more pragmatic politics of hope. They focus on (mostly) a view from the metropolitan middle classes, committed to a democratic transition. In different terms, this is the view expressed widely in the diaspora. The excitement around the potential for change that was seen in the late 1990s and into the 2000s, has dissipated. Raftopolous points to the changing global configuration of power and interests that frames the Zimbabwe situation. Contrary to the last decade, he argues, “calls for democratisation are being pushed back by the statist imperatives of securitisation and stabilisation with few attempts to confront the constraints of neoliberalism”. This is apparent amongst western nations whose concentration on southern Africa has been diverted to the concerns with militant Islamic insurgency in eastern and west Africa. SADC as a body seems not to be pushing a democratization agenda, and with Mugabe at the head of the AU this year, his focus will be on other questions, not least the threats of Boko Haram and Al Shabaab. As Raftopolous points out, the Chinese, now major backers of the Zimbabwe state, with bilateral trade reaching $1.4 billion, are not, despite claims to the contrary, interested in disrupting a neoliberal status quo that benefits their commercial interests. Given this, “the challenges for the opposition in developing an alternative vision for Zimbabwe are immense”, comments Raftopolous. “At a domestic level the opposition has to confront the combined coercive and patronage structures of the ruling party. On a broader regional and international plane the opposition must contend with Zanu-PF’s capacity to combine its nationalist and Pan Africanist invocations with the ‘normalisation’ discourse of neoliberalism and the clear international trend towards re-engagement with the Mugabe regime”. Combined with the “constant bickering” of the opposition parties, there does not seem much prospect of an organized opposition response, even in the 2018 elections. With the opposition in disarray and key leaders on sabbaticals in the US, writing biographical reflections of their earlier heroic struggles, and the ‘Renewal Team’, at least for now, being expelled from parliament, there does not seem to be much likelihood of early regrouping. This is the politics of the long-haul. A view reflected in the commentaries picked up by Fontein. He reflects on the hope that characterized the mood of the early 2000s. Correctly he observes, this was far from universal, “but the doom and gloom of ‘authoritarian nationalism’, and the ‘end of modernity’ for a ‘plunging’ Zimbabwe, that preoccupied scholars, did not always match the confidence in new and better futures that one also encountered on Zimbabwe’s streets and resettled farms”. He, however, observes that with hindsight, “all this hope seems profoundly misplaced”. He goes on to paint a rather dismal picture, where no hope for change is offered. He concludes “Despondency is prevalent and a new timescale of hope and aspiration has taken hold that makes both the present and any immediate future appear equally uninspiring. If people are just waiting, as many have suggested, most have resigned themselves to the long haul”. For his friends working in local government in Harare who had not been paid for months, this is indeed the reality (although perhaps offset by the growth of an excellent underground strand of satirical comedy). Raftopolous points to the underlying factors leading to this politics of despair. These range, he notes, “from the re-organisation of Zanu-PF and its political machinery of patronage, coercion and electoral chicanery, to the massive dissipation of opposition energies in the context of large-scale changes in Zimbabwe social structure since the 1990s”. But it is these changes in social structure – rooted in the land reform – that I think have been missed in these analyses. Maybe I am overly optimistic, but while these portrayals – of the international setting and for the employed, urban middle class – are unquestionably accurate, I don’t think they reflect the whole picture. In our work in the resettlement farms of Masvingo, Mvurwi and now Matobo, we come across a spirit of optimism. Yes there are hardships and frustrations, and often damning tirades against the elite political class (but also, as noted last week, examples of resistance). People point to how things are better than they were, and are improving. We have been recently analyzing data from our surveys in Mvurwi, and you can see where this comes from. Across five years from 2010, all households across three A1 farms have been averaging production of maize at 3.2 tonnes (although with much variation), and tobacco averaging nearly a tonne. Around half of all households sold over a tonne of maize in 2014, many considerably more. And the numbers of cattle, cars, combis, tractors, trucks, cell phones, solar panels, pumps and more that have been bought in the last five years is phenomenal, according to our data. These figures far exceed anything possible in the communal areas from where many came. And those who came from jobs in town swear they will never go back. Perhaps surprisingly, even though extremely income and asset poor, farm workers still resident in the compounds on these farms registered improvements, with many increasing cultivation, and acquiring assets. They all mentioned many problems of an often fragile existence, but nearly 60 per cent indicated that things had improved since land reform. The contrasts with the depressed and demotivated discourse in the urban areas, where hope of change had been offered by the MDC in the 2000s, the resettlements seem a world away. Many problems remain, but things seem more hopeful and positive, focused as they are on the day to day travails of farming rather than on uncertain government salaries and a failing old, core economy. In a month or two (probably in June), there will be a blog series on our data from Mvurwi to illustrate the underlying patterns of livelihood change that generate this. But this is not just in the higher potential areas such as Mvurwi; even in Matabeleland where I was last month, and in the midst of a poor rainy season, many expressed a sense of achievement and potential when talking about their farms, and the future. Generating a new sense of hope, out of which a new politics might emerge, will have to come from the fields and farms of rural Zimbabwe, and especially the resettlement areas. The opposition’s failure to engage with the realities of the land reform, and for much political commentary to ignore it too (including the otherwise excellent pieces from Brian and Joost) means that the other side of the Zimbabwe story is not heard, and another, more positive, future is not imagined. On July 31 last year, ZANU-PF were victorious in the elections. The opposition was annihilated. The elections were disputed by many, and many questions were raised about the process, but most commentators agreed that this was a shift of support back to ZANU-PF, with the opposition having run out of steam. A number of good commentaries were published in the Journal of Southern African Studies that offered views from different perspectives, including from Miles Tendi, Phillan Zamchiya and Brian Raftopolous. Perhaps the most powerful though comes from McDonald Lewanika and Delta Milayo Ndou (formerly of the Zimbabwe Crisis Coalition) in ‘We the People’, a beautifully illustrated edited book of personal testimonies and reflections from Zimbabweans after the elections. Most are urban, educated and opposition supporters, but the sense of melancholy and loss, reflecting on a moment that had so much hope, is tangible and powerful. Nearly a year ago on September 10 2013, a confident ZANU-PF announced a new cabinet and ambitious plans for the future under the ZimAsset programme. Attempts to rebuild relationships with the west started, while overtures to the Chinese continued. A new minister of lands, Douglas Mombeshora, has stated boldly that no new land invasions would be allowed, and that land administration would be regularised, with those illegally occupying land or underutilising it evicted. It sounded as if a corner had been turned. But sadly such a transition has not occurred. In the last year, the economy has floundered, as the new investment has failed to arrive; relationships with Europe and the US remain tetchy; the Chinese are playing hardball; and land invasions have continued, despite attempts at audits and new permit systems (see next week’s blog). Meanwhile, the opposition has imploded. The expected departure of Morgan Tsvangirai has not happened, and he clings on to one faction, with surprisingly wide public support. The MDC-T though has fractured, with Tendai Biti and colleagues declaring a ‘renewal team’, and presumably in time a new party, for a revived opposition. They are actively courting investors and foreign governments, while belatedly accepting that a focus on economic and social rights and redistribution issues – ZANU-PF’s political territory for the 2013 elections – must be central to any revamped approach. The situation is very messy indeed. The warring factions continue to slug it out within ZANU-PF too, with different groupings being speculated on in the press almost daily. What is clear is that there is no easy resolution of the ‘succession’ issue, and Mugabe is playing the longer game (to the 2018 elections) to see how this will resolve itself. Zimbabwe is open to Foreign Direct Investment from all Nations of the World, whether these be in the North, South, East or West… Zimbabwe is ready to re-integrate into the global economy. Zimbabwe is looking for new friendships, new opportunities while consolidating old ones. We are looking for mutually beneficial economic relationships not confrontation. We are too small a country to pursue a policy of confrontation. This signaled a softening of stance, and a willingness to engage. Equally the purge of corrupt parastatals and their officials led by Jonathan Moyo was clearly aimed at an international audience, with a very visible attempt to deal with corruption – although of course only in one area. Statements on the flagship ‘indigenisation’ policy have been much more tempered since the elections, with senior party officials stating that expropriation and nationalization are not on the agenda, and that there has to be flexibility in the application of the policy. The mixed policy messaging of the Mugabe regime can be attributed both to the challenges of seeking fuller international re-engagement while holding on to its empowerment programme, and the tensions within ZANU PF about how to proceed with such a re-engagement. The tropes of sovereignty, liberation history, regional solidarity and empowerment have been integral to ZANU PF’s political imaginary and ‘language of stateness’, in both the party’s ‘practical languages of governance’ and the ‘symbolic languages of authority’. However the exposure of the limits of the state’s capacity to effect its indigenisation programme has led to the dual strategy of seeking a rapprochement with the West, while promising to export the Zimbabwean model to the SADC region. Such contradictions are the legacy of the past 14 or so years. The radical redistributive policies, most notably the land reform, have presented major challenges in economic terms. The withdrawal of external support and international investment has hampered the rebounding of the economy, and the business-political patronage networks that were established to prop up the regime in this period are certainly not the basis for a prosperous, competitive economy. There are bright spots though. The informal sector is booming, and providing jobs and livelihoods. While many argue this is not the real economy, it is certainly the main economy. In the restructured agricultural sector, the tobacco boom continues, with a massive 210 million tonnes of tobacco being traded this year. While livelihoods are unquestionably improving especially for those on the land, galvanising new, coherent and sustained economic growth is a big challenge, and the long (often rather sensible) wish-lists in the ZimAsset blueprint will not be realized without sustained investment. Much of course relies on a rapprochement with the west, and with international capital and finance. Given the bad feeling, abuse and threats that have occurred over time, this will not be easy, especially with Britain. Miles Tendi offers a fascinating analysis of this challenge, based on interviews with some of the key players, on both the UK and the Zimbabwe sides, and how a sustained ‘demonisation’ invective from both has not helped matters. A fundamental question remains, however: how to balance a commitment to redistribution and economic empowerment with engagement in a globalized economy, and in a context where national debt amounts to a staggering US$6 billion? Is there any way to resist the inevitable reincorporation into a neoliberal world order, and sustain the progressive gains of reform? Despite the socialist solidarity rhetoric, the Chinese are interested in commercial business just as any other western nation or multinational company. And countries in the region are wary of heading down an alternative route, despite the electioneering rhetoric of Julius Malema further south. So ZANU PF is in a bind. As Brian Raftopolous argues, there are clear ‘limits to victory’.